We have been reading about super-sized LED streetlight retrofit projects in metropolises. Now smaller cities are getting in on the action. Call it the trickle-down of LED-based energy savings. Perhaps some magic boundary of ROI payback time has been crossed as LED prices fall. Or perhaps the incessant drumbeat of news about how much money SSL retrofits are saving municipalities has finally worn down the opposition in the smaller localities. From the looks of the numbers these cities and towns are promulgating, they have been getting quite a wide range of advice about what level of energy savings to expect. Let's take a look at some of these newly announced projects, beginning at the top of the size scale and moving downward. Madrid, Spain, is modernizing its lighting in a project whose scale, at 225,000 poles, will fall between those of Los Angeles and New York. Oddly enough, only 84,000 of those replacement fixtures will be powered by LEDs (from Royal Philips). The rest will use other technologies but will be more efficient than the lights they are replacing. All will be incorporated into a new citywide system of (wired) controls. Overall the city expects to save 44% of the energy it is currently using for lighting at night. Honolulu is in search of a contractor to work with the city on replacing 52,000 city-owned streetlights. The selected partner will be paid out of energy savings -- that is, it sounds like Honolulu is shopping for a partner to shoulder the financing burden. Anticipated savings are 50% of the energy bill, or $3 million per year. That works out to a modest $58 per pole each year. Massachusetts plans to replace 6,000 streetlights and other outdoor lights in two phases over the next several years. This is one third of the outdoor lights owned by the Massachusetts Department of Conservation and Recreation over 43 towns in 10 counties. Annual savings when the project is complete are put at $500,000, or $83 per pole each year. 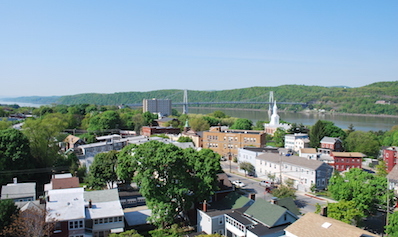 The city of Poughkeepsie, N.Y., is replacing 1880 streetlights at a cost of $3.2 million. That city's annual savings target is ambitious, at $400,000, or $222 per pole per year. San Jose, Calif., has an even more optimistic saving goal: $660,000 per year after replacing 1,500 streetlights, or $440 per pole per year. Prairie du Chien, Wis., must have gotten its energy figures from the same source as Massachusetts. After replacing 85 light fixtures with LEDs, the town hopes to save $7,000 per year, or $82 per pole. Finally, Camden, N.J., will upgrade 84 streetlights and expects to save $14,000 per year, or $167 per pole. In the Madrid article linked above, Forbes mentions a Navigant Research projection of 17 million LED streetlights to be installed globally by 2017.